Serum is an emerging and effective skincare product although not originally from Indian skincare. It gets absorbed easily and is lightweight in nature which delivers maximum benefits to the skin. 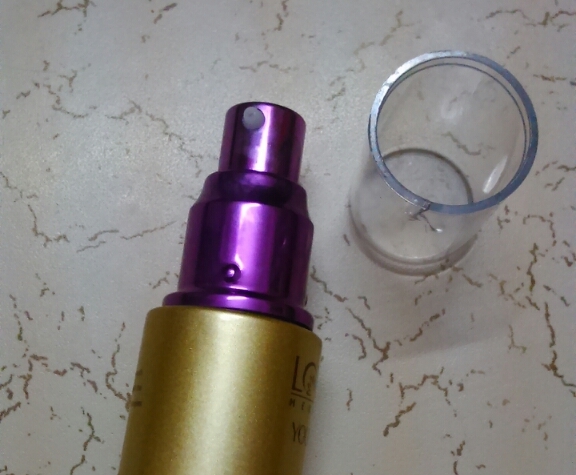 Today's review is about one such serum + creme from Lotus Herbals. My mom has used it for around one month and after that I have used it for around 15 days. Let's head on to the review to see how it fairs and whether lives upto it's claims. The product is packaged in a pump up bottle and is very sturdy. The packaging colour is golden with dark pink engravedo letters and transpa cap. The pump dispenses adequate quantity of the product and just 2 pumps are needed got everyday use. The fragrance is a little floral and very nice. It doesn't linger and is not at all bothering. As the name indicates the product is actually of the consistency of serum and colour is that of creme. The serum + creme is very lightweight in nature and gets absorbed in skin like magic. The product is extremely non-oily, non-greasy and non-sticky. No sooner you apply the creme to your skin than it gets absorbed easily without leaving any residue. Me and my mom, we both apply the creme immediately the first thing after the bath. Just 2 pumps are enough for the whole face. As soon as you apply it to the face, it instantly moisturizes the skin making it soft and smooth. It.gives an even toned skin as well as hydrates it. It also imparts a subtle glow to the skin which lasts a few minutes. With regular usage me and my mom have noticed a reduction in the scar marks. My mom has seen visible effect in the even toning of her slightly wrinkled skin. Since I have a little uneven skin I have seen effects in that case. Overall it is a revolutionary product which delivers without false pretences. Moreover it is meant for all skin types, and I have never had a breakout or something like that. Quite affordable as quantity offered according to price is good. Price, shelf life and availability - 795 for 30 ml with a shelf life of 3 and widely available online as well as in stores. 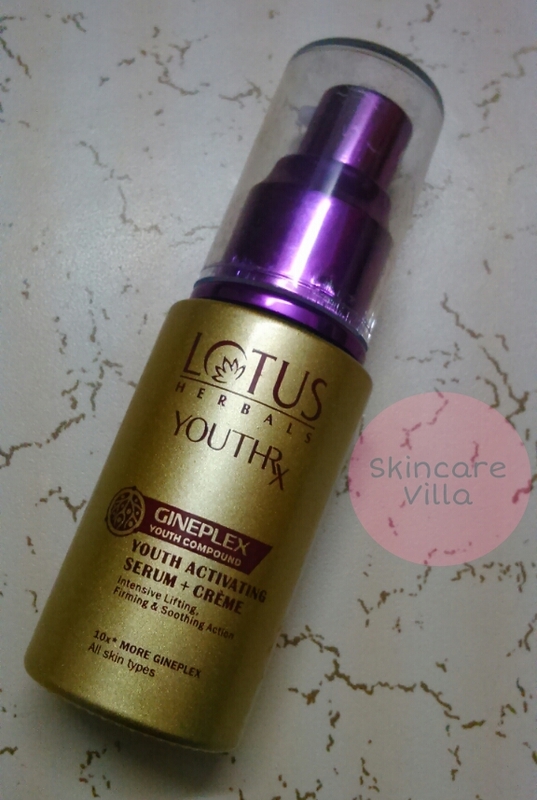 I would highly recommend the Lotus Herbals YOUTHRx Youth Activating Serum + Creme for anti aging benefits as well as those wanting to start their anti aging regime. It's lightweight yet effective formula is quite apt for daily use and doubles up as a moisturizer as well. Those wanting a lightweight moisturizing effect can also use it. 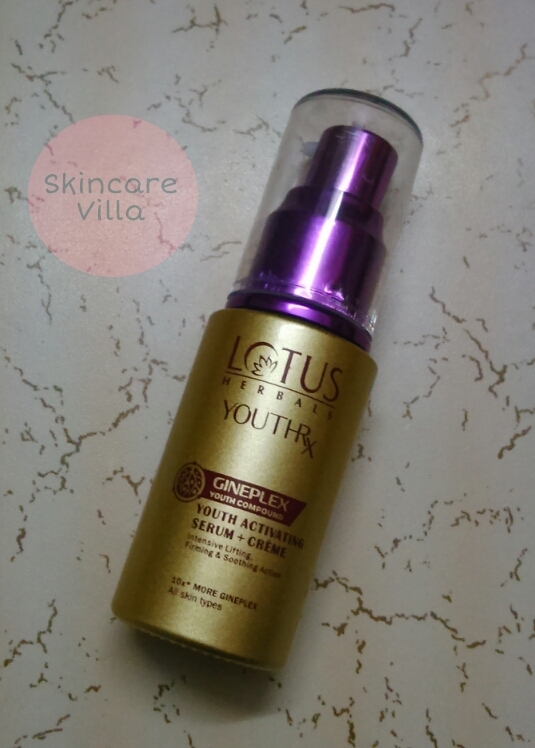 It is a definite repurchase for me and highly recommended by Skincare Villa.